﻿ The Use of Silicone Pipe - CJan Fluid Technology Co., Ltd.
1. The silicone pipe can be divided into "the extrusion tube" and "the special-shaped tube". The silicone pipe is made from silicone rubber raw glue to a double roll rubber mixer or a closed kneading machine, and we can gradually add the silica and other auxiliaries to refine repeated and uniform. According to the demand of occupational technical standard, they are extruded into goods. Silicone pipes are widely used in modern industry, defense industry and ordinary household products. It can be used to conduct electricity in the electronics industry. The use of the silicone pipe and classification can be widely used in aerospace, electronics, petroleum, chemical, mechanical, electrical equipment, medical, oven, food and other industrial departments of outstanding electrical insulating sealing, liquid delivery information. Precision representative, oil pipeline, household appliance seal, drinking water pipe seal, medical treatment, etc. Suitable for: (coffee pot, teapot, iron, electric rice cooker, deep fryer, disinfection cabinet, water dispensers, fruit pulp machine, bread machine, burner, water heater, etc.) and electronics, cars, medical and other machinery products supporting. 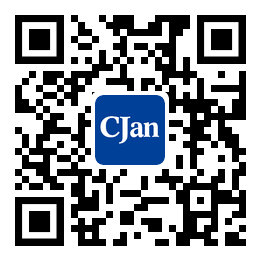 As a rubber hose supplier, Shanghai CJan Fluid Technology co., LTD. It can produce silicone rubber tubing, rubber tubing and other products through the FDA food grade certification and the European Union LFGB certification, and it can do all kinds of Stretching & Compressing Products.